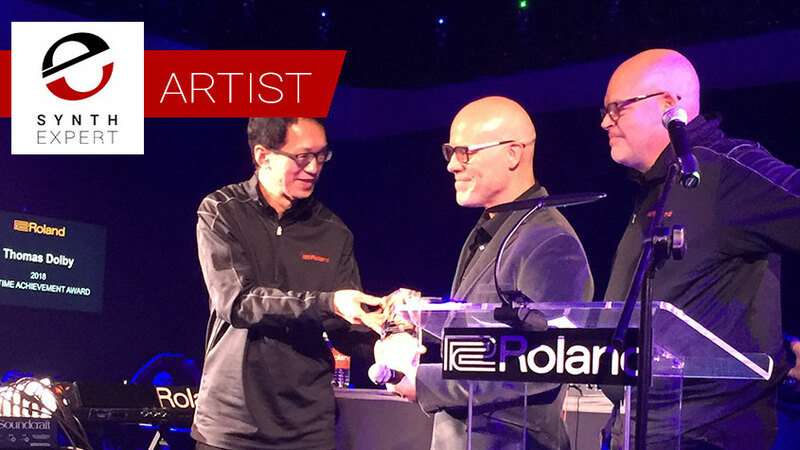 L to R: Roland CEO Jun-ichi Miki, electronic music legend Thomas Dolby, and Roland VP of Major Influencers Paul McCabe. Photo by Stephen Fortner. Thomas Dolby treated the Roland press crowd at NAMM 2018 to an impromptu lecture and performance of "She Blinded Me with Science." UK-to-Brooklyn electronic musician STOKE dishes up a Buchla-created ambient track in collaboration with hip-hop producer Louis VI. The week's featured artist is Chris Stack, a.k.a. Experimental Synth, using just a MakeNoise 0-Coast synth and Eventide effects plug-ins.